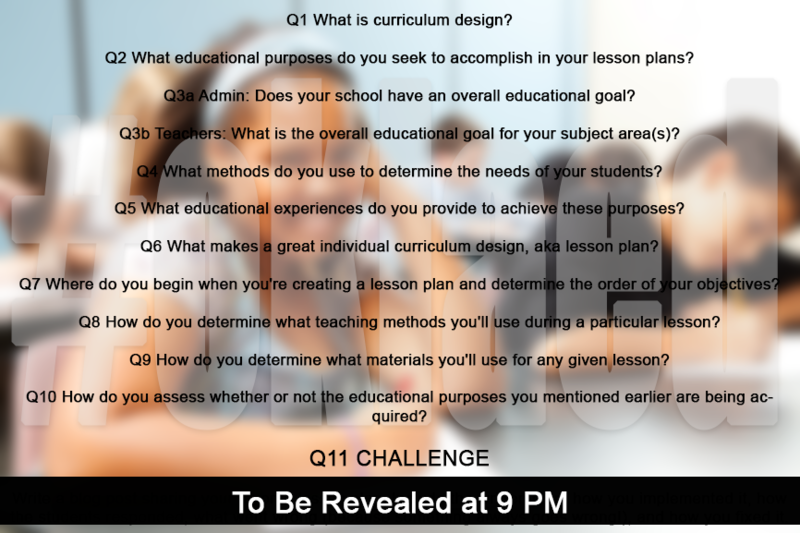 And Tonight’s #OklaEd Topic Is… Curriculum Design! 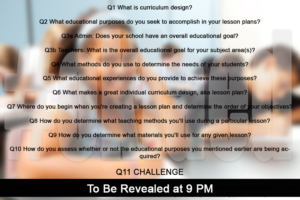 You are here: Home / Technology / And Tonight’s #OklaEd Topic Is… Curriculum Design! As I’m writing, it’s three and a half hours until our chat, and I’m already nervous. By the time the chat arrives, I’ll have my questions all programmed and my graphics created, as needed. I’ll have a Storify document opened and ready to go. But I’m still nervous — perhaps with anticipation. I love these chats and I love having the chance to have questions I’m really want to know the answers to addressed. I am hoping to go back to school soon and earn a Master’s degree in Instructional Design and Technology. Until then, I’d love to learn from your expertise to make my existing lesson planning more productive and my lessons more effective. I’m looking forward to tonight! NOTE: We have a challenge question that will be revealed at 9 p.m. right on the dot, so stick around until then! I’ll give you a hit — stretch those blogging fingers. AN EVEN MORE IMPORTANT NOTE: Thank you very much to The Unscience Teacher for helping me revise and edit my questions for tonight!